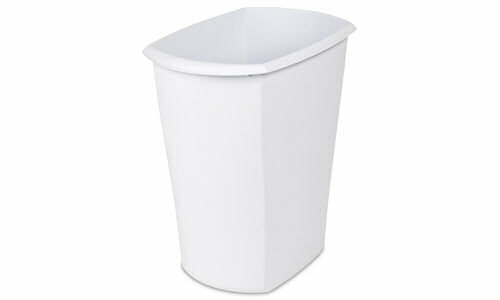 The 5.5 Gallon Open Wastebasket is ideal for small spaces and features a stylish contemporary look. The combination of the polished and textured sides will add a fashionable element to any home décor. The easy-to-clean surface and slim profile makes it ideal for the bathroom, bedroom, home office, classroom, or under the sink. The comfortable handle, which is integrated into the rim, allows for easy transport and emptying of items. This wastebasket accommodates a standard 8 gallon trash liner. 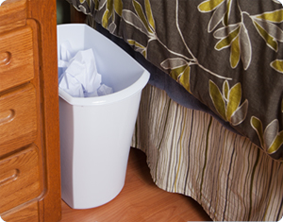 This discrete wastebasket fits neatly under a desk or office to conceal any trash or debris. Its slim profile also fits perfectly between furniture in small bedrooms or in dorm rooms. The overall dimensions of this item are 15" L x 10" W x 15 7/8" H.
Overall Assembled Size: 15" x 10" x 15 7/8"
Ideal for use in bedrooms, bathrooms and offices – even under the sink. 5.5 Gallon Rectangular Wastebasket is rated 5.0 out of 5 by 6. Rated 5 out of 5 by Gj32 from Lasts for a Long time These wastebaskets are easy to clean,sturdy and lasts for a long time.The quality and endurance is great for what you get for an very affordable price. Rated 5 out of 5 by RayB from Product is great This is an excellent trash can but we can not fine the 8 gallon bags that fit it. Any we find are to tall and narrow. 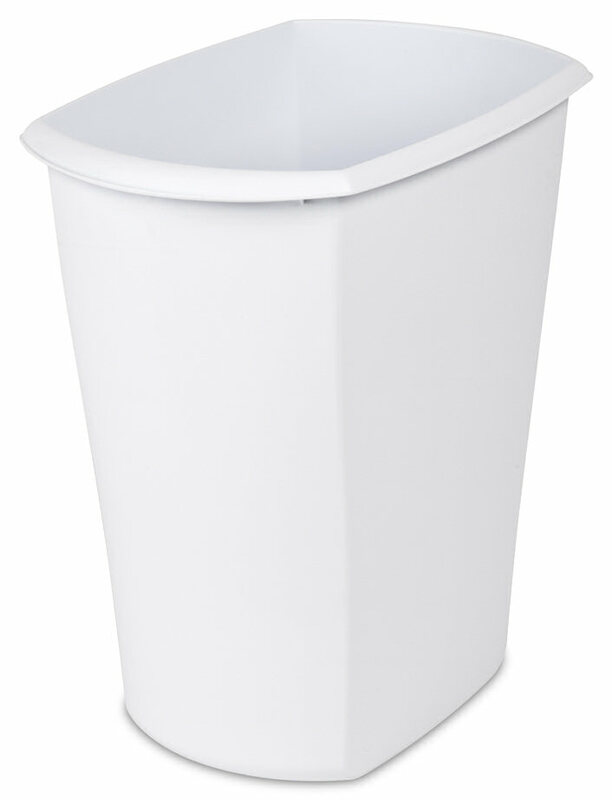 Rated 5 out of 5 by AMOmomOF3 from 1052 - 5.5 Gallon Rectangular Wastebasket Originally purchased this wastebasket to use in the bathroom, but it was too big for the space we had. I ended up buying a second one after we used the first one for our desks. The second one went in the garage for dryer lint/dryer sheets. No need to put a trash liner in as it cleans very easily. And they are extremely sturdy! They have been dropped (and bounced) down the stairs numerous times and not a single crack or weak spot. I will definitely be buying a couple more for use in other rooms as well. Rated 5 out of 5 by McNamara from Great for the Classroom One trash can is never enough in a classroom. I have purchased several of these for my room. They are a bit larger than the one can that came with the room. It also enables me the opportunity to have several strategically located at a reasonable price.